Slurpers wanted for a week of oyster parties, classes, panels dinners, to benefit the species. Gain a new understanding of the term "Ah, shucks," at The Wetlands Conservancy's weeklong celebration of oysters. The second-annual Shuck Portland fundraising series takes place Feb. 2 to 9. 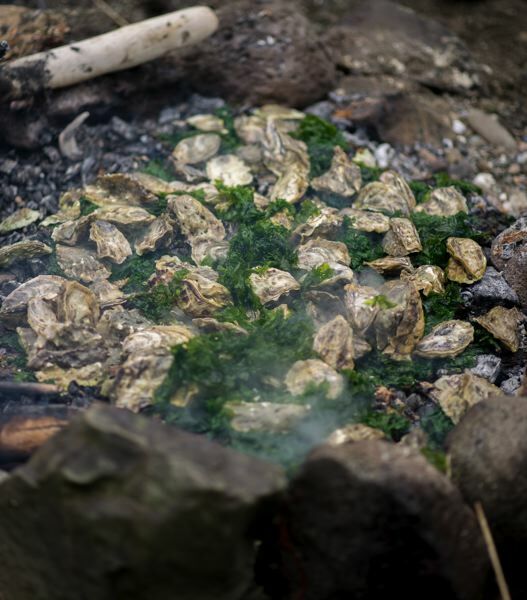 Proceeds will be used to benefit the nonprofit's efforts to restore native oysters in the Yaquina Estuary. The Wetlands Conservancy is a statewide group that acquires and protects vital wetlands around Oregon, and advocates for their important role in the ecosystem. •Saturday, Feb. 2: Portland in a Half Shell, an opening party where some 5,000 oysters will be available for tasting, delivered from beds ranging from Alaska to Baja California. • Monday, February 4: A class about natural wine, oysters and a sense of place. • Tuesday, Feb. 5: Oysters' Past, Present & Future, a panel discussion. • Wednesday, Feb. 6: Oysters 101: learn how to shuck, slurp, identify and eat all five species of Pacific oysters. • Friday, Feb. 8: Dinner from the Pacific, a progressive seafood dinner. • Saturday, Feb. 9: Class: Iron Fire and Brine, an open-fire cooking class. In addition, several of Portland's top restaurants are featuring oyster specials on their menus.